I have participated in #OneWordONT in the past. Although I missed last year, it is time to jump back in! My 2019 #OneWordONT word is: Rebalance. In many ways, 2018 was a great year with lots of positives. In reflection though, I felt that the various elements of the year required long periods of intensive focus on particular project. These intense periods detracted from other activities in education, music, exercise, family and friends time. While I look forward to the various goals, project and activities for 2019, I know a better way forward is to be more intentional about achieving success, improvement(s), forward direction through a balanced approach. Here’s to an awesome, more balance 2019! As excitement builds for first Digital Citizenship Summit Toronto on Saturday October 27th, I look forward to participating, sharing and networking at the event. Digital Citizenship is an ‘old‘ but important concept – brought to life at the birth of social media. Areas of consideration and discussion included your digital footprint, staying safe online, building and participating in online communications etc. Educators shared ideas and resources regarding approaches to embed Digital Citizenship into the classroom. In the educational context, current work expands to digital leadership, using digital tools to solve problems, expanding understanding (global perspectives) and to move society forward in positive ways. I can remember the early adopter days 10-12 years ago. 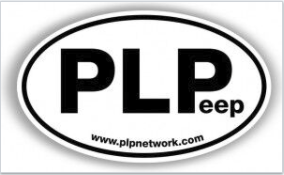 Everyone, at least in my mainly educators circle, was focusing on the potential – new connections, sharing blog posts and resources, kicking the tires on new ideas and approaches, developing your PLN etc. The future looked bright and rosy. When you consider how things have evolved, the complexity is overwhelming! While I do think the ‘solid base’ I described above is still there, one must contend with Influencers, bots, fake news, the far left, the far right, alternative agendas, promotion of “the negative”, privacy challenges etc. We owe it to today’s youth, our students, to learn to navigate this digital landscape safely and positively with an eye for opportunity and “doing good”. If this topic interests you, consider attending the first Digital Citizenship Summit Toronto, this Saturday (October 27th, 2018). I hope to see you there! Over the last couple of weeks I have have the pleasure of working with Noa Daniel (@noasbobs) to prepare my guest session with her for the Personal Playlist Podcast (P3) on Voiced Radio. The approach used for the podcast series is based on a practice that Noa uses in her classroom. I was asked to choose 3 songs: nostalgic, identity, pick-me-up/inspirational. The podcast conversation focuses unpacking the songs, why these particular ones were selected and why they are important to me. I found this approach to be a great experience. To me, the idea of bringing personal music choices and relating them to one’s personal story is very powerful. I can certainly see why this would be effective in classroom setting. Noa is a wonderful host and I appreciate having the opportunity to be welcomed to her podcast series. Here are the links to Noa’s podcast and blog post. 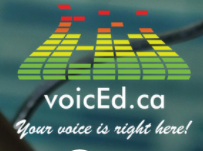 I had a wonderful recent opportunity to connect with Ontario teacher Scott McKenzie to record this podcast on his approach to embracing coding in the classroom, how his approach has changed and evolved over the last few year and catch a glimpse at “what next” in Scott’s classroom. I hope listeners appreciate Scott’s open and reflective conversation. Head to the kitchen, prepare a fresh brew and enjoy this conversation with Scott McKenzie. This blog post features a look at a collaborative coding project at Moffat Creek Public School in Cambridge Ontario. Grade six teacher Vicky McKenna (@VickyMcKenna1 ‏) collaborated with kindergarten teacher Mark Woodfield (@kindycop) ‏to have her students create a custom program for their assigned kindergarten buddy. The video includes interviews with Vicki, Mark, digital literacy support teacher Jeff Brown (@jeff_dbrown), student feedback as well as some classroom action. This session of the Virtual Coffee Shop was recorded from a live VoicEd Radio broadcast aired as part of the 1 year anniversary radio-a-thon. Many thanks to Alison Bullock, Derek Rhodenizer and Stephen Hurley for sharing their thinking and perspectives on “The Art of Teaching”. Settle in with a cup of your favourite brew and enjoy The Art of Teaching! One of my highlights from attending the OMEA Interlude 2017 conference, was hearing the Six String Nation presentation by Jowi Taylor – wow, what an amazing story. Jowi is an award winning writer, broadcaster, creator of the Six String Nation project, recipient of Canada’s Meritorious Service Medal. I was thrilled to meet Jowi in person at the conference, and honoured to host him at our home to record this podcast about the Six String Nation project concept, journey and future plans. Head to the kitchen and make your favourite coffee brew and enjoy this wonderful conversation with Jowi.